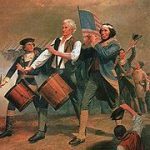 The second day of July, 1776, will be the most memorable epoch in the history of America. I am apt to believe that it will be celebrated by succeeding generations as the great anniversary festival. It ought to be commemorated as the day of deliverance, by solemn acts of devotion to God Almighty. ”Adams' prediction was off by two days. From the outset, Americans celebrated independence on July 4, the date shown on the much-publicized Declaration of Independence, rather than on July 2, the date the resolution of independence was approved in a closed session of Congress. 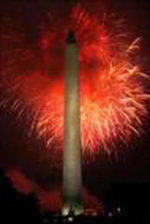 One of the most enduring myths about Independence Day is that Congress signed the Declaration of Independence on July 4, 1776.The myth had become so firmly established that, decades after the event and nearing the end of their lives, even the elderly Thomas Jefferson and John Adams had come to believe that they and the other delegates had signed the Declaration on the fourth. Most delegates actually signed the Declaration on August 2, 1776. In a remarkable series of coincidences, both John Adams and Thomas Jefferson, two founding fathers of the United States and the only two men who signed the Declaration of Independence to become president, died on the same day: July 4, 1826, which was the United States' 50th anniversary. President James Monroe died exactly five years later, on July 4, 1831, but he was not a signatory to the Declaration of Independence.